Deloitte conducts recruitment via AMCAT exam for both on Campus on off Campus exams. Find the latest Deloitte Aptitude Test Syllabus here on this dashboard. This page may contain outdated information. Check the latest information and Syllabus here on this page. If you’re from a good CBSE/ISCE school and can speak fluent English this will be not that difficult for you. Visit our Deloitte Versant Test Dashboard here to prepare for this section. 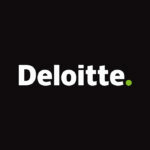 You can prepare for Deloitte from our website.